Why would I need self storage in Martinez, CA? There are a variety of reasons why you might need self-storage in Martinez, CA. How much is a storage unit in Martinez, CA? The cheapest storage unit in Martinez, CA is $86.00 per month. What size storage units do you have available in Martinez, CA? In Martinez, CA we have sizes that range from 5'x6' to 10'x30' to suit your storage needs. How much is it for a 5'x6' storage unit in Martinez, CA? The cheapest 5'x6' storage unit in Martinez, CA is $86.00 per month. Martinez is located in the east San Francisco Bay, one of the larger cities in Contra Costa County. Located on the southern side of the Carquinez Strait, Martinez is 16 miles from Oakland. 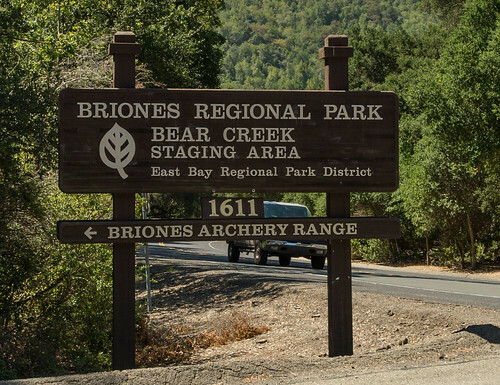 This waterfront town is known for its active marinas and excellent fishing and hiking, as well as Briones Regional Park, a wildlife refuge popular with bird enthusiasts. Martinez began as a 17,000-acre land grant from the Mexican government to Don Ygnacio Martinez, commandant of the Presidio in San Francisco. This charming Alhambra Valley city was officially named for Don Martinez in 1849. Martinez became the county seat for Contra Costa County in 1850, and by 1876 it had grown large enough to become an official city. Originally a trading center catering to the California gold rush crowd, Martinez became known as a major shipping center for the region's agricultural products by the turn of the century. Several oil refineries opened in the area, bolstering the city's economy and population. Over the next several decades, Martinez continued to grow and evolve, slowly becoming the busy city it is today. Martinez is a popular city for a variety of reasons: The climate is moderate year-round, the crime rate is low, and there are plenty of amenities to enjoy. In addition to shopping, dining and entertainment, you can explore the city's historic and natural points of interest. The John Muir National Historic Site features the preserved long-time home of the well-known author and naturalist John Muir. It's home to a large number of towering oak trees and wide grasslands, and you can participate in nature walks on the neighboring Mount Wanda. As with many communities in the San Francisco Bay Area, unemployment is low in Martinez. Top industries in the region include petroleum, construction, manufacturing, health care, science, technology and public administration. If you're going to join the local job market, it's helpful to know that the largest employers in Martinez include Shell Oil, Kaiser Permanente, city and county government and the Veterans Health Administration. The Martinez Unified School District manages the public schools in the city. If you're considering private school for your child, Martinez has a variety of Christian and secular options, including Montessori schools. Utilities: Pacific Gas and Electric is the central energy provider in Martinez. Water services are divided between the City of Martinez and the Contra Costa Water District. Garbage and Recycling: Garbage and recyclables are collected curbside for most residential areas in the city. Transportation: AC Transit, County Connection and the Western Contra Costa Transit Authority facilitate a network of public transit routes in and around Martinez. Like much of the Bay Area, Martinez has a fairly high median home price. However, when compared to larger cities like San Francisco, it's reasonably budget-friendly. The city has a variety of housing options, including single-family homes, condominiums and apartments. Our lowest priced units in Martinez, CA average $132.33 per month. 162 people have reserved units in Martinez, CA in the past 30 days. There are 3 locations within Martinez, CA's city limits. There is 1 location in Martinez, CA that offers AC and Heating features.